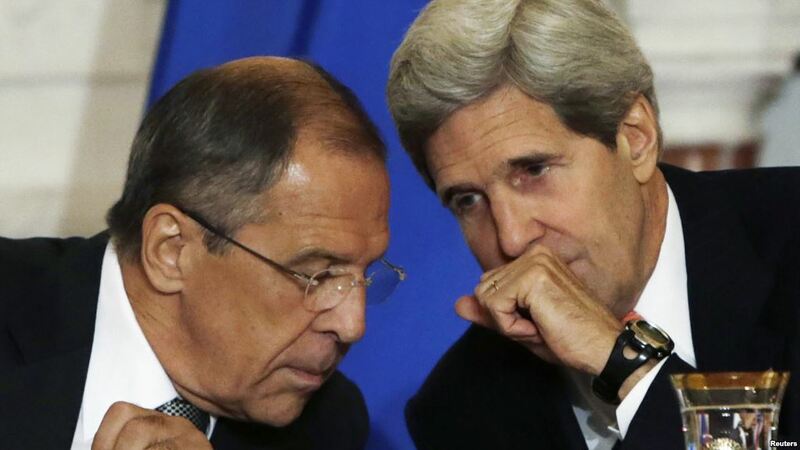 US Secretary of State John Kerry has warned Russia that any moves to annex Crimea would close the door to diplomacy. John Kerry told Russian counterpart Sergei Lavrov that Crimea is part of Ukraine and Moscow should avoid military escalation. Meanwhile, President Barack Obama has been discussing the deepening crisis with world leaders. It comes as warning shots were fired as a team of international observers was turned back from entering Crimea. The Organization for Security and Co-operation in Europe (OSCE) said that no-one was hurt in the incident at Armyansk. It was the third time the OSCE has been prevented from entering Crimea, now in the control of pro-Russian forces. Moscow has been tightening its military grip on the Crimean peninsula, and the pro-Russian authorities there have called a March 16 referendum to secede from Ukraine and join Russia. The exchange between John Kerry and Sergei Lavrov came in a telephone conversation on Saturday, a US State Department official said. “He [John Kerry] made clear that continued military escalation and provocation in Crimea or elsewhere in Ukraine, along with steps to annex Crimea to Russia would close any available space for diplomacy, and he urged utmost restraint,” the official said. President Vladimir Putin has insisted he has the right to protect Russian interests and the rights of ethnic Russians in Crimea.